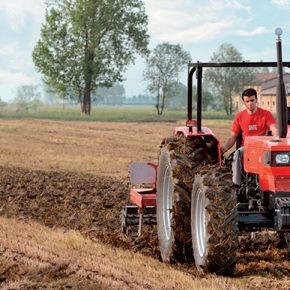 The tractors of the Agrolux 80/85/90/95/100 series are simple, efficient and reliable multi-role tractors, conceived to deliver the best performance and productivity in the 80 to 100 hp class. The range consists of two models powered by an SDF 1000 Series engine. 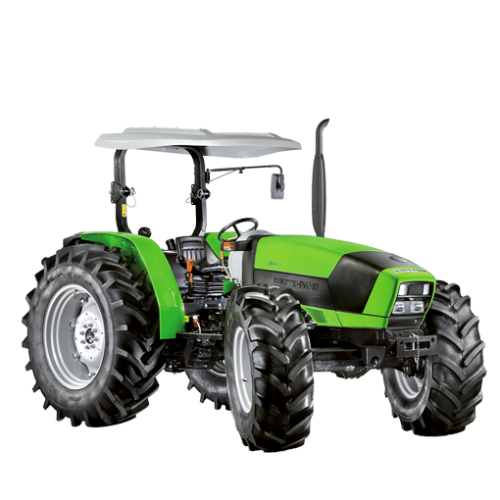 While functional, these tractors also boast advanced design and technology and feature bespoke solutions such as the injection-moulded single piece cowl in sound-absorbing resin. Superior performance guaranteed. Efficient, four cylinder, 4 litre SDF 1000 Series engines compliant with Euro II standards. Setting these engines apart are a mixed oil/water cooling system and a mechanical high pressure injection system. This injection system uses an innovative solution with individual dedicated injection pumps for each cylinder, for superior performance and reliability. This technology is far more advanced than conventional rotary or in-line pumps. 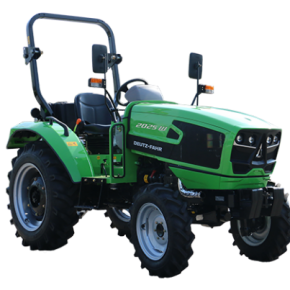 The Agrolux 80 and 85 models are equipped with naturally aspirated engines producing a maximum of 74 and 85 hp (2000/25 EC) respectively, while the 90, 95 and 100 versions feature turbocharged engines with maximum outputs of 87, 92 and 96 hp (2000/25 EC) respectively. 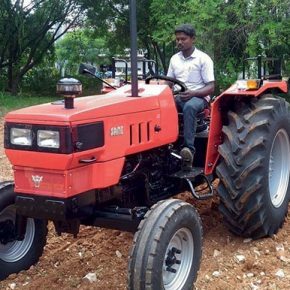 With a compact engine layout and a potent cooling system with generous ventilation grilles, Agrolux tractors can be used without difficulty even in very hot climates. And for use in very dusty conditions, all the models in the range may be equipped with a cyclone pre-filter which increases the durability of the main air filter and, as a result, increases engine efficiency. And to ensure that the engine switches off immediately and safely, the ignition switch on the new Agrolux series operates a new solenoid valve. Versatile and extremely reliable. Offering superlative simplicity and reliability, the transmission equipping Agrolux 80/85/90/95/100 tractors is extremely versatile and features intelligently spaced gear ratios, to cater for a huge range of different applications. The models of the Agrolux series may be equipped with different transmission configurations: 2WD versions have a synchromesh four speed gearbox with three ranges and a reverse shuttle (also synchronised) for a total of twelve forward and reverse speeds and an easily attained top speed of 30 km/h; while four wheel drive versions use synchromesh five speed gearbox with three ranges (or optional four ranges) and a synchronised mechanical reverse shuttle for a total of fifteen forward and reverse gears (or twenty, with four ranges) and a top speed of 40 km/h. The three transmission levers are situated to the right of the driver for immediate, intuitive operation without impeding access to and from the platform. 90, 95 and 100 models are also equipped with a rear four sprocket planetary reduction gearbox for superior reliability even when transmitting the high levels of torque necessary, for example, when ploughing or performing other heavy duty pulling applications. Power assured, always. The standard PTO is independently and mechanically engaged and uses a dedicated clutch. This solution offers a choice of standard 540 and 1000 rpm speeds for maximum productivity in all conditions and with any implement, irrespective of the power demand. Alternatively, a wheel-synchronised PTO with independent output shaft is available as an option. Smooth steering and dependable lifting power. The hydraulic system equipping the Agrolux series has a primary gear pump with a maximum capacity of 56 l/min, which feeds an open centre circuit (for total compatibility with all hydraulically powered implements), and a secondary pump dedicated exclusively to the hydrostatic steering system. The advantage of the separate steering system pump is that it ensures extremely smooth, easy steering action even at low engine speeds and when the lift and auxiliary distributors are operated. Completing the hydraulic system are two rear distributors (available as two, four or six-way components to suit different needs), which can also control a hydraulic braking system for a trailer, and a powerful rear lift with a maximum capacity of 4200 kg. Safety first. Two wheel drive versions come with powerful wet disc brakes incorporated in the rear axle, while four wheel drive versions are equipped as standard with an integral system which brakes all four wheels for car like stability even under the hardest braking. An optional valve may be fitted to disable the front brakes when necessary. Excellent ergonomics for superior comfort. The driver area is spacious and comfortable, and features intuitive, rationally organised controls and instruments. The main controls are situated to the side of the seat and do not impede driver access to the seat itself. The three transmission control levers, the hydraulic distributor control levers, the mechanical differential lock pedal and the manual throttle are situated on the right hand side, while on the left are the PTO control lever, the front wheel drive engage/disengage selector, the PTO clutch control and the handbrake. The instrumentation includes analogue gauges providing essential information on the operating parameters of the machine (coolant temperature, engine speed, PTO speed and fuel level); as well as an array of familiar warning and indicator lamps (oil pressure, turn indicators and battery charge level). Every aspect of the driver area was studied in detail and optimised by the SDF engineers, allowing the 100 litre fuel tank to be situated more rationally behind the driver. And for maximum safety in the event of roll-over, the tractor is equipped with sturdy rear two-pillar roll-bar, which folds down partially to facilitate access to areas with limited headroom.